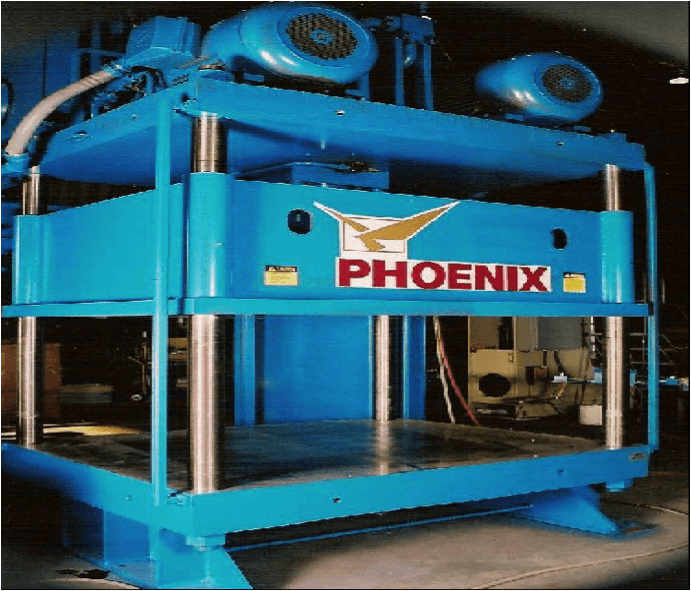 Our customers need for a high fast deep draw press developed by Phoenix hydraulic Presses. 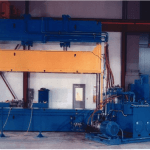 The press cycle time was calculated to be one second and index/load/unload at .70 seconds, or 35 cycles based on a 3 1/2 stroke. 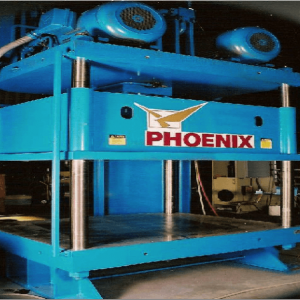 The press hydraulics features a proportional control, two variable 40 GPM pumps and a 400 gallon reservoir. 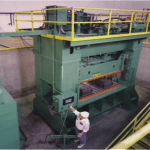 The press is powered by two 100 HP motors and controlled by an Omron PC. The frame is 68″ front to back, 75″ left to right, the stroke is 12″. 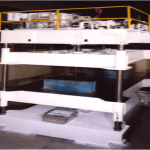 Bed-platen each had eight 1″ 8 × 12 deep holes for customer tool mounting. This customer is located in Illinois. 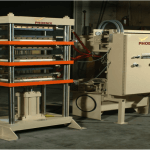 Complete press specifications are available upon request.